Fire companies provided their members with social benefits of fraternity but also provided them with society benefits of insurance and security. These societies were prestiges and many of the members included prominent citizens. 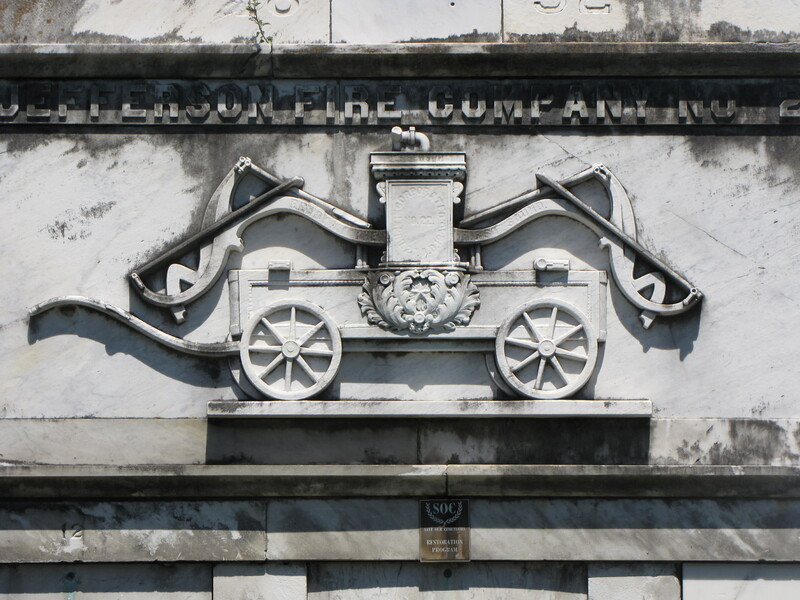 In Lafayette Cemetery Number 1 at New Orleans, Louisiana, the communal tomb of the Jefferson Fire Company Number 22, built in 1852, proudly displays the pumper wagon that represented relief and rescure to a vulnerable city. Many organizations and societies of the time provided life insurance and burial benefits to their members. 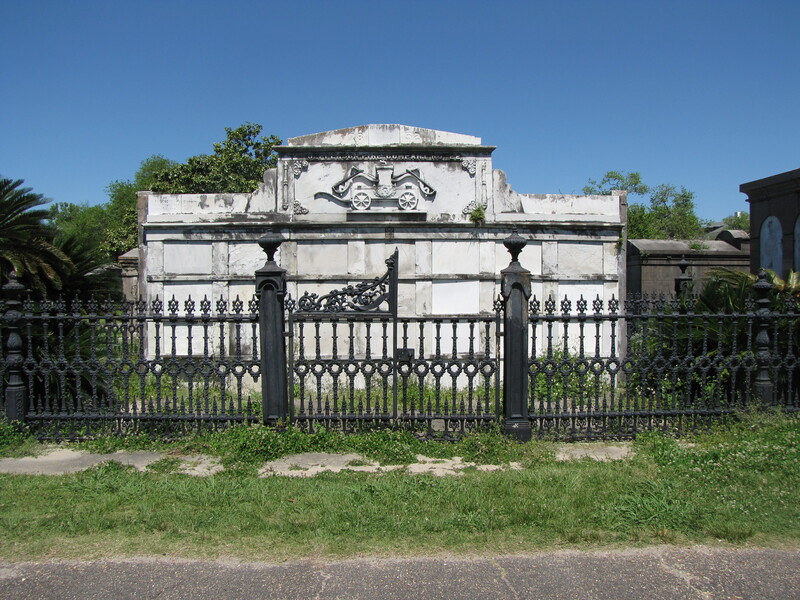 Here the members were to be buried in a communal tomb.